If you are not sure whether stain removal or bleaching products are right for you, then learning more about the best whitening methods here is a great place to start. Alternatively, visit our tooth whitening page which links you off to lots of specific pieces of content. Oral-B 3D white luxe works by removing surface stains and may make your teeth appear whiter, but it will not change the natural colour of your teeth. The results you achieve by using 3D white luxe toothpaste will be different to me. At the time of writing the normal cost of this paste appears to be £4 per 75ml tube. Most reputable sellers were selling the tubes at this price. The cheapest was Wilko at £3.50 per tube, but Boots were running an offer where if you purchased 2 tubes, you could save £3, making the cost per tube just £3. As this was an offer and subject to change, you really should expect to pay £4 per tube and if you get it for less than that, good on you. All three pastes spoken about in this review are available from most larger stockists or Oral-B products. Boots, Superdrug, Wilko and Asda are just some of the examples of high street stores selling this. Their online stores also stocked it also, along with online only retailers like Amazon. Oral-B is a household name here in the UK and whilst they make some very good products, they certainly make things confusing for you and me. On test here are three different tubes of toothpaste, all of which are very similar and writing three separate reviews would be silly. Part of the 3D White Luxe range the 3 look very similar and are even marketed together but there are a few subtle difference between them. So, all of them whiten the teeth, just in potentially different time periods and whilst all are safe on the enamel of the teeth they are designed to target different things. It could be argued that you could use all three in sequence. Start with the Pearl Shine to remove stains and get the best possible colour improvement, then follow this with Glamorous Shine that locks out stains and then Healthy Shine that replenishes the minerals in the teeth. There is then the ‘Perfection’ and ‘Whitening Accelerator’ also in the 3D white luxe family, more on those shortly. From a packaging perspective, they do look very similar, with just the name and background colour to the name changing on each tube. The packaging is very smart and certainly catches the eye. The deep purple with the appearance of a diamond texture on the packaging, it looks sophisticated and classy and does away with the clinical look of many dental products. Each paste comes in a 75ml tube, that should last about 3 months based on using a pea sized amount of paste. The tubes stand upright on the screw lid. 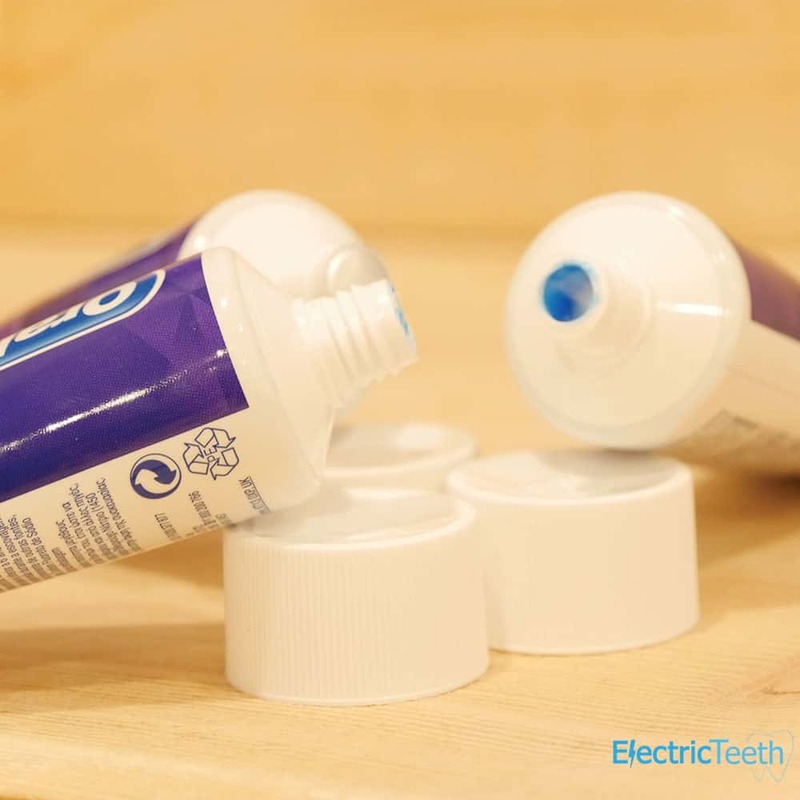 I personally prefer a flip lid as I think this is more practical in everyday use, flip the lid open and apply the paste using one hand whilst holding your toothbrush in the other. Doing this with a screw cap top like these tube have is not as simple in my honest opinion. Not a big issue, just something you appreciate when you have used pastes that have such. A foil seal is placed over the end of the nozzle of the tube to retain the freshness and avoid spillage. This needs removing before using. It does not have the typical 12 or 24 month symbol on any of the tubes of paste, meaning they do not have to be used within a specific time once opened. However, the very end of the tube does have a date on it, which is the ‘Best Before’ date. This was dated approximately 2 years in advance of when I was testing the paste, so realistically speaking you are going to be using this a lot sooner than that unless you don’t like it or have bought lots of tubes as part of a bulk deal. The paste itself is a white and blue colour. As it is pushed out from the tube, you get stripes of each. Mint is most certainly the flavour of these pastes. Not too intense, the flavour should be agreeable to most. There is enough flavour that your mouth feels clean with a lasting freshness. During use, the paste is not all that frothy. Froth is, for the most part, an artificial element to the paste and does not do anything to assist in the cleaning. It is difficult to say how long the freshness lasted but I would say for 90 minutes or so this freshness was noticeable post clean. I am in no doubt there was a continuing effect which lasted longer, but I could not obviously notice this. Most ‘whitening’ toothpaste achieve a whiter smile by removing surface stains on teeth more effectively rather than changing the actual tooth colour via a bleaching process. Many people have stains and as such, removing them restores the natural tooth colour and can make the teeth appear whiter because the stains that once dulled the teeth are no longer present. Oral-B employs this stain removal approach meaning me and you can buy these products from many retailers, rather than getting from a dental professional, the only people able to offer products with bleaching agents in them. Because everyone’s teeth and the level of staining is different, everyone will get different results. If you have used a whitening paste before or even if you brush your teeth correctly and regularly you will unlikely see much difference. For those with the heaviest staining, you can potentially see results from any of these paste within a week, but none are really a quick fix or fast way to whiten the teeth. Oral-B does also have a 3D White Luxe Perfection and Whitening Accelerator paste that is supposed to begin whitening teeth in just 3 days. They are, I believe a little more abrasive. Whilst potentially nice pastes to use, they come at a cost and are certainly not guaranteed to deliver results, if any, quicker than you might with any of these 3 pastes, so there is little point really. During my use of the pastes, I experienced no sensitivity or abnormalities, but should you do so, you should stop using the paste and consult your dentist. Whilst there is evidence from the likes of the Supershoppers TV programme that these whitening pastes don’t necessarily remove any more staining than a regular tube of toothpaste, at around about £4 per tube, they are far from the most expensive option to try if you know you have tooth staining and want it gone quickly. All three pastes include fluoride which is the primary ingredient dentists advise you have in toothpaste as this helps keep the teeth healthy. These pastes do contain Sodium Lauryl Sulphate (SLS) (more information) and CI 77891, otherwise known as Titanium Dioxide (more information). This review is not promoting or criticising their inclusion, but I feel it is worth making you aware that some have issues with these ingredients as there may be negative impacts on your health and the environment. Both are commonly used within cosmetics and toothpaste and there is a range of pastes that have been designed to specifically not include such. I have no immediate concerns over the safety of this toothpaste. Oral-B, on the whole, conforms to high standards as far as I am aware and wouldn’t market something proven to pose a real risk to you and your health. Some of the ingredients are contentious because there are arguments to suggest they are far from ideal, but ultimately the evidence is lacking to say they really should not be present. I have identified those of particular concern within the ingredients list above. If you feel they pose a safety concern, avoid this paste. A growing concern is the environment. These pastes are not marketed as nor are particularly environmentally friendly. The tubes are not easily recycled and typically end up in landfill or being incinerated. It would be nice to see alternatives. In fact, toothpaste tablets might just be the answer. As is typical across the whole dental health market, whitening products are not necessarily missold, but many consumers don’t understand just how they work. Many are not aware that the constant use of whitening toothpaste can potentially be damaging to the teeth. Many don’t know whether they even have any staining or not. Therefore many buy in hope of achieving results, but few, in reality, see the improvements that they perhaps hoped for. 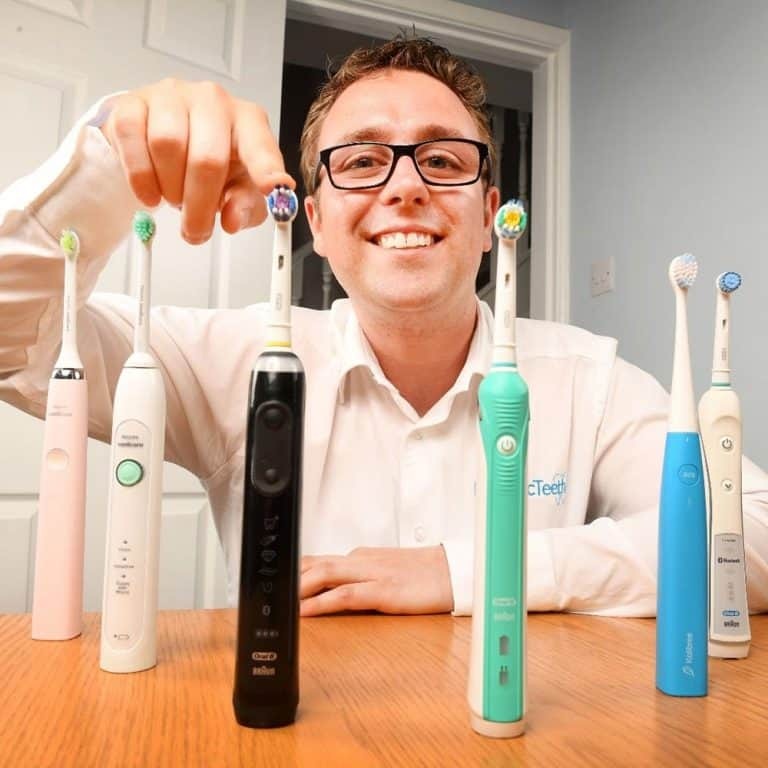 I call for manufacturers to be a bit more transparent and really explain how the tooth whitening process works and that toothpastes will in almost all instances only ever remove surface stains, restoring the natural colour of the teeth. Oral-B makes things very confusing and I can’t quite fathom why three very similar pastes are needed. If this is not an example of confusing consumers, I am not sure what is. A range of relatively inexpensive pastes, you have not got too much to lose by trying this if you want to make sure your teeth are stain free. Be aware that you might not get the results you hope for, because your teeth may well be stain free in the first place. Where can I buy Oral-B 3D White Luxe Toothpaste? Online sellers such as Amazon sell it as do the following stores that have both a high street and online presence, Boots, Superdrug and Morrisons. The pastes have a mint flavour to them. Using a pea sized amount of paste you should get up to about 3 months of usage from this tube. It is difficult to say exactly as my test did not last long enough to use the tub of paste completely and the ‘pea sized’ amount will differ for different people. 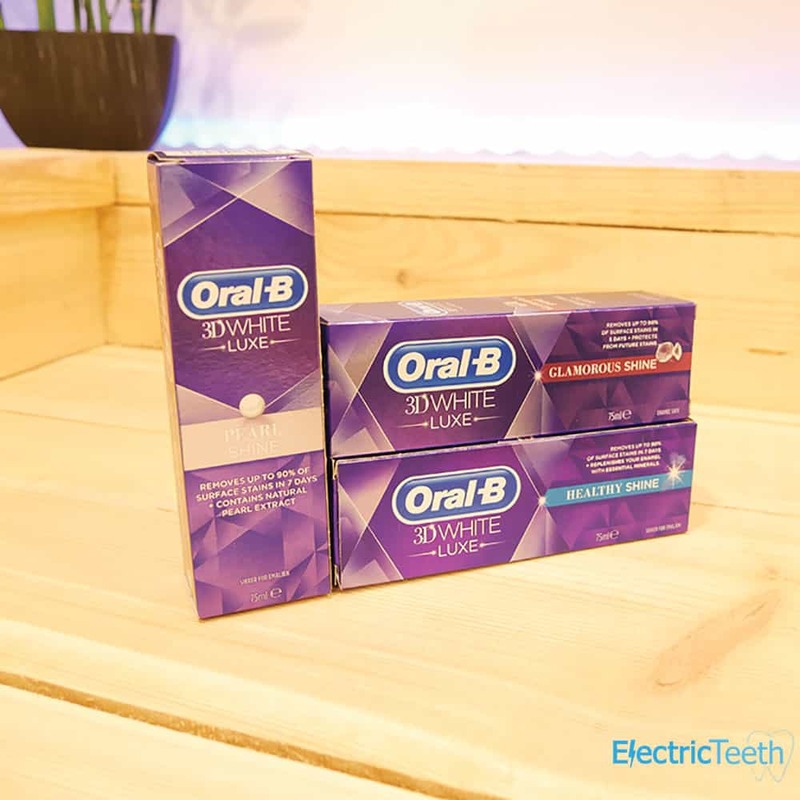 Do you own or have you used the 3D white luxe toothpaste range from Oral-B?